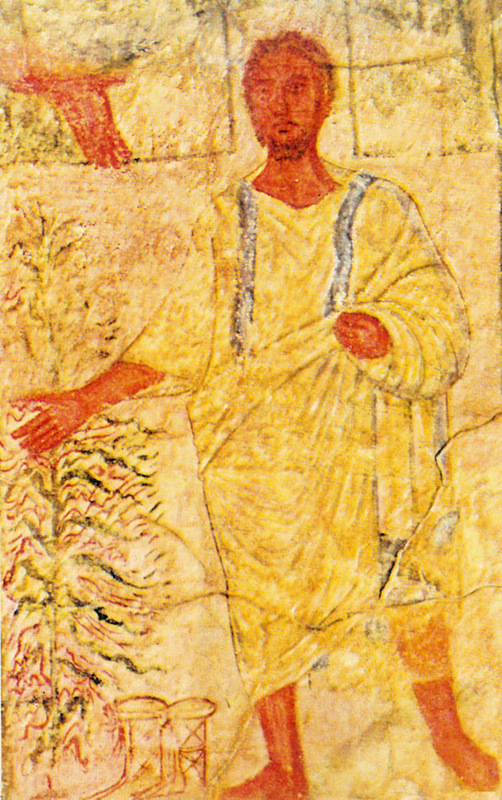 Moses and the Burning Bush, panel on the West wall of the Dura Europos Synagogue. Public domain via Wikimedia Commons. In my diocese, we’re reading the book of Exodus together. We started in August and will end in May. My youth group followed the lectionary each Sunday and discussed the Exodus passage, and when it moved into Leviticus, we went back to the beginning. I feel so fortunate to talk to our kids about Moses, his ancestors, and his legacy. They have so much to say, and get me thinking about scripture in new ways every week. K1: There are a lot of women in this story. Me: Hmmm. That’s true. What else do you notice? K1: They all helped Moses somehow. K2: Even the midwives played a role. K2: They were willing to lie to Pharaoh instead of killing the male babies. K1: And then his mother didn’t follow the rules, either. K1: And then Miriam talked to Pharaoh’s daughter. K2: Then Miriam talks to her, and gets Moses’ mother hired to take care of him, that’s pretty cool. K1: But here’s what I want to know: why didn’t Pharaoh want to kill any girl babies? Why only boys? K2: It seems like he didn’t think girls were that important. K3: Well, he was wrong. And the conversation went on. These girls realized the critical roles women and girls played in getting Moses in the position to turn toward the burning bush. They were hooked. I tried to get our of their way and let them talk. The whole conversation felt like a huge blessing. But I tried to keep cool. The following week, we read chapter 2:11-25. Those who were there last week and I caught the group up on the story, and started reading through the end of chapter two. K1 (not the same as last week’s K1) Hold on. K1: I don’t remember anything about Moses killing anyone. As their Godly Play teacher, they look at me dubiously, as if I had intentionally left that part out years ago. Me. To be honest, I forgot about that, too, until I read it at work last year. K1: I can’t believe Moses killed a guy. So we talked about that for a while. I asked them how they felt about him getting away with it by going to Midian. Was he justified because his people were so oppressed? Or should the law of the land apply to everyone, regardless of circumstances? Should Moses have had the opportunity to marry, have a son, and get on with his life? According to the story, he did. We came to no conclusions, but wrestled with the complexity of this news. As a Montessori youth group leader, I strongly believe in following my teens’ lead, and I’m thankful that they trust me enough keep reading the book of Exodus. While they’re often reluctant to admit it, except in our little youth room, they enjoy reading the Bible. Working with a youth group, or have some teens at your house? Consider reading and studying the book of Exodus. Exodus has so much rich content; it’s a wonderful book to discuss with teenagers. They’re ready to tackle the complexities and apply them to modern history and current day life. Try Exodus, and tell me what you think. 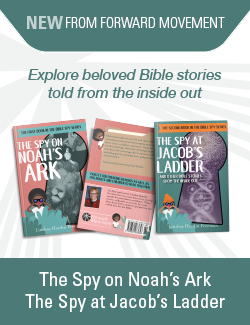 What book of the Bible would you like to talk about with your children or teens? image: Moses and the Burning Bush, panel on the West wall of the Dura Europos Synagogue. Thank you for your post. I’m familiar with Godly Play for children, but not for youth. Our youth tell me they are tired of studying the “same old stories” they learned as children. But, as you and I know, and your post proves, the Bible always has new things to teach us. I’d love to hear more about how you frame your time together. Thank you for your wisdom Miriam–and for your witness about weather hiking and bad weather choices! Merry Christmas!! I loved reading this! I get the same way when the conversations get going – I try not to get overly excited and just let them go. It’s always an incredible experience to be in the room when that happens.